Artifice and illusion possess an almost irresistible allure. Having our senses fail us is fascinating, simply because our own perception remains the baseline for how we understand the world—regardless of how flawed or faulty we know it to be—and so when it’s intentionally deceived, we want to know how. Peeking behind the curtain of staged fakery is a little like being handed a key to how our minds work; it makes us feel better, even if we’re no more likely to transcend our limited points of view and destined to be deceived again. It’s the appeal of shows like The Mentalist or Psych, which feature main characters happily revealing the observational tricks and mind games used to convince others of their heightened abilities. We know such things aren’t real, so series that flatter our skepticism by letting us see how it’s done are a form of comfort food. 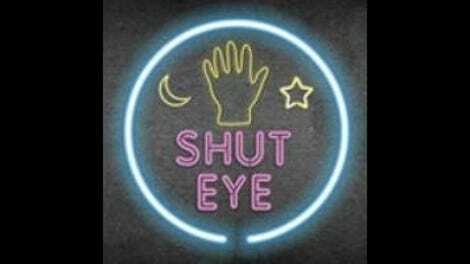 Shut Eye, Hulu’s new drama that follows the goings-on within a small community of fortune-tellers in Los Angeles, uses the trappings of such deception to ground its world, but the plot itself immediately jumps past it to get to more ambitious fare. 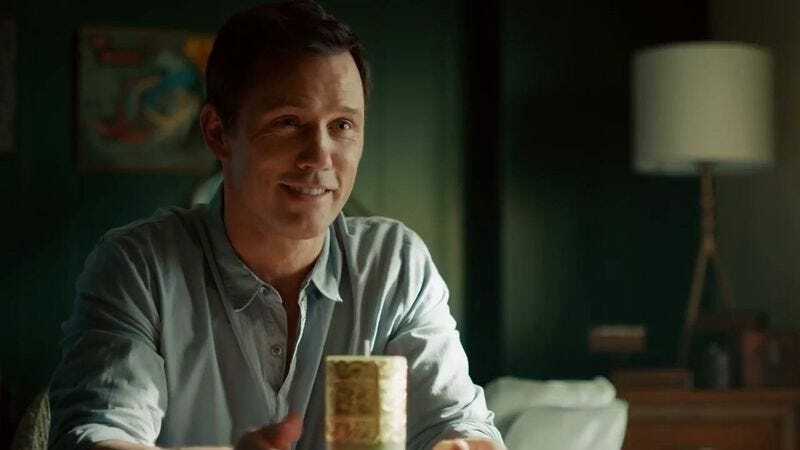 Revolving around Charlie Haverford (Burn Notice’s Jeffrey Donovan), a former inventor of magic tricks turned fortune-teller, the series wastes no time having him suffer a concussion at the hands of a client’s angry boyfriend (Charlie off-handedly suggested the guy was cheating on her). Immediately after, he’s hypnotized during his fragile state by an ambitious hustler (Emmanuelle Chriqui) trying to join his racket of small-time charlatans. The double whammy does a number on Charlie, and suddenly he’s having strange visions, losing time, and realizing something far stranger than just head trauma may have occurred. In a smart move, however, Charlie’s newly developing senses are only one part of the overall narrative—to the point where it’s unclear, at least for the first few episodes, whether Charlie’s developed a genuine gift or is just experiencing severe symptoms that are getting wedded to his already preternatural ability to read people and situations. Far more central to the story is his relationship to the Romani businessman Fonzo (Fargo’s Angus Sampson) and his mother, Rita (Isabella Rossellini, looking like she’s having a ball), who run the regional fortune-teller industry like a mob cartel. Charlie is one of Fonzo’s middlemen: He collects payments from an array of local hoodwinkers under his watch, while running his own scheme from his middle-class home. Feeling like he’s settled for too little in life, Charlie gets egged on by his Lady MacBeth-like wife, Linda (KaDee Strickland), to try and go behind Fonzo’s back and land bigger marks to exploit. With an insecure teenage son and dreams of a better life, the Haverfords are caught in a state of perpetual fragility, doomed to continually enact a frantic hustle for survival if they accept their lot, and in danger of far worse should they strive for more. In part, the show is stuck dealing with an even more pervasive form of social stereotyping than The Sopranos faced from Italian-Americans. The Roma (“Gypsies,” in the common pejorative) have almost no representation in film and television outside of their portrayal as hucksters and cheats, so basing a new show firmly in a criminal Romani underworld does little to challenge that view. To its credit, Shut Eye at least tries to make some gestures toward acknowledging this, setting a chunk of its third episode at a community event meant to show the Roma’s efforts at combatting negative stereotypes. Then Fonzo beats a guy nearly to death in the community center bathroom, and you’re left wondering if the show actually cares about such complexities. But that absurdity ends up serving the show’s overall demeanor, which stays just shy of ridiculous by virtue of committed performances and a confident visual style established by pilot director Johan Renck. Donovan sets the tone for the actors, and at first, his casting looks like a mistake. He’s a minimalist performer, and his limited range of expressions and attitudes initially clashes with the personality of someone who’s ostensibly an expert at being whatever he senses people need him to be. But after Charlie’s injury jars him into an ongoing dazed state, Donovan’s bemused deadpan works perfectly, rendering him the ideal balance of a guy both out of his head and in over it. A prescribed drug trip in episode three, supervised by Charlie’s doctor (Susan Misner), even allows him to play stoner comedy with unflappable directness. There’s nothing innovative about this project, but its commitment to fleet storytelling and a game cast take it far. Success in a TV series is impossible to predict, but give Shut Eye credit for immediately laying its tarot cards on the table.